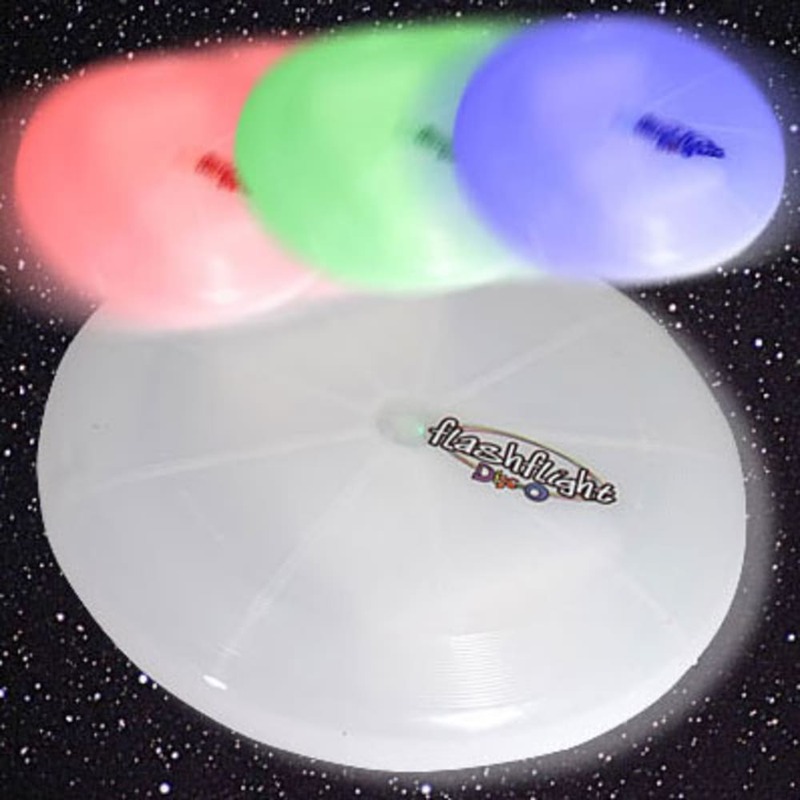 The Disc-O is a 10.5-inch diameter plastic flying disc that is lit with LED and fiber optic technology. Colors change on the fly! Due to federal shipping restrictions regarding products containing lithium batteries, this product can only be shipped to the 48 contiguous states. It cannot be shipped to Canada, Hawaii, Alaska, Catalina Island, Puerto Rico, APO, FPO or international addresses. Thanks for your understanding.